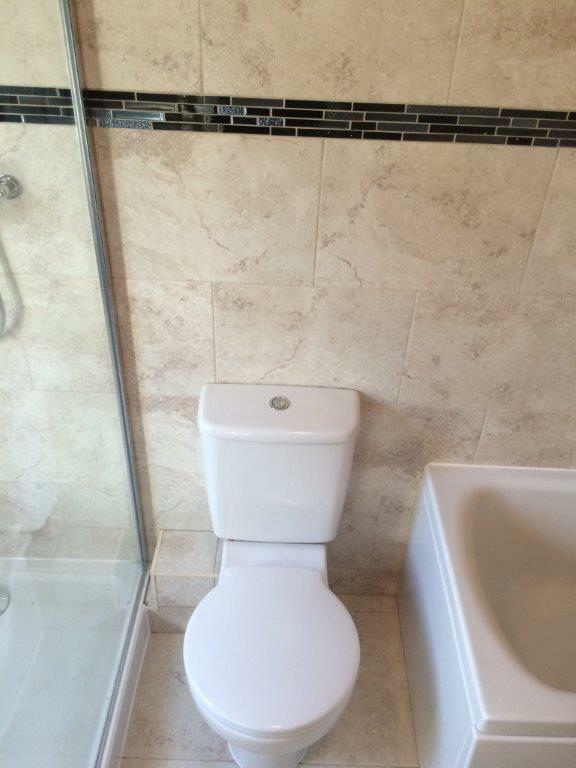 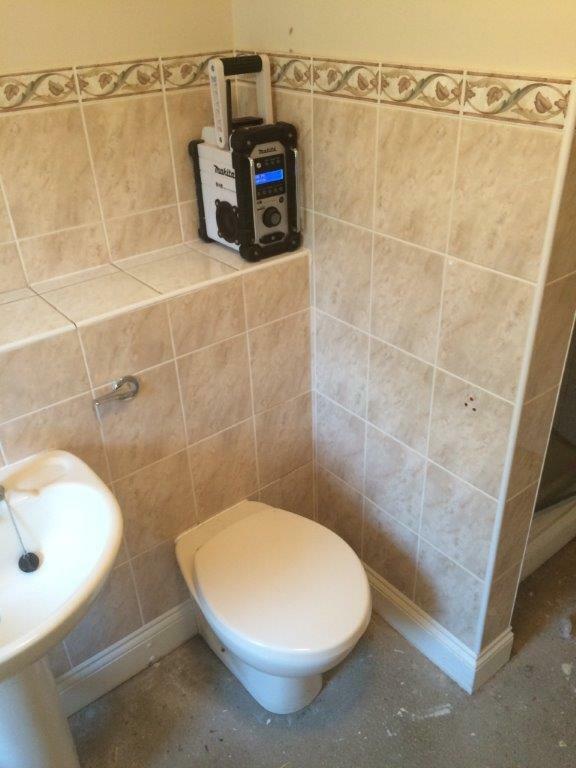 This project saw the removal of the entire Bathroom suite including the brick partition wall of the shower cubicle and the false wall within the shower cubicle. 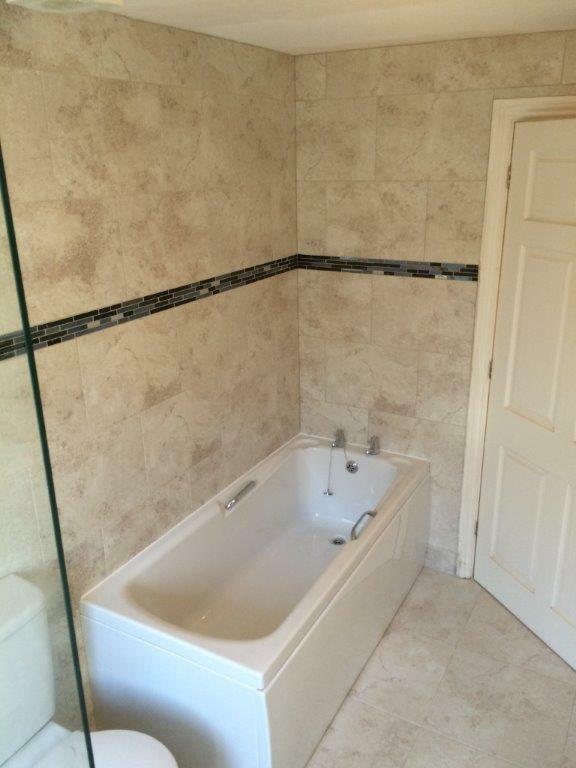 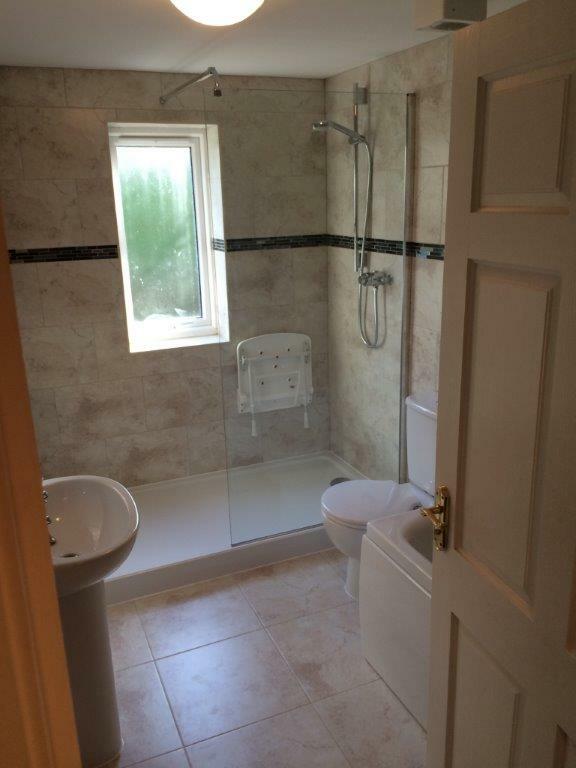 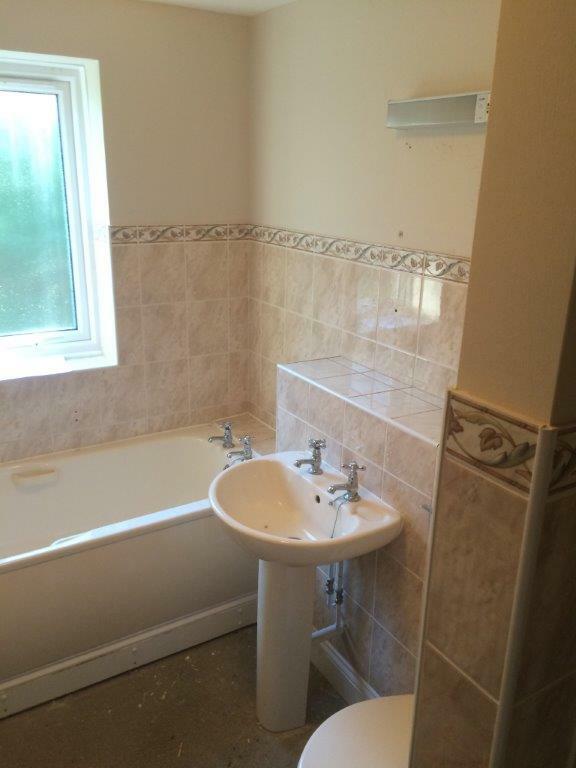 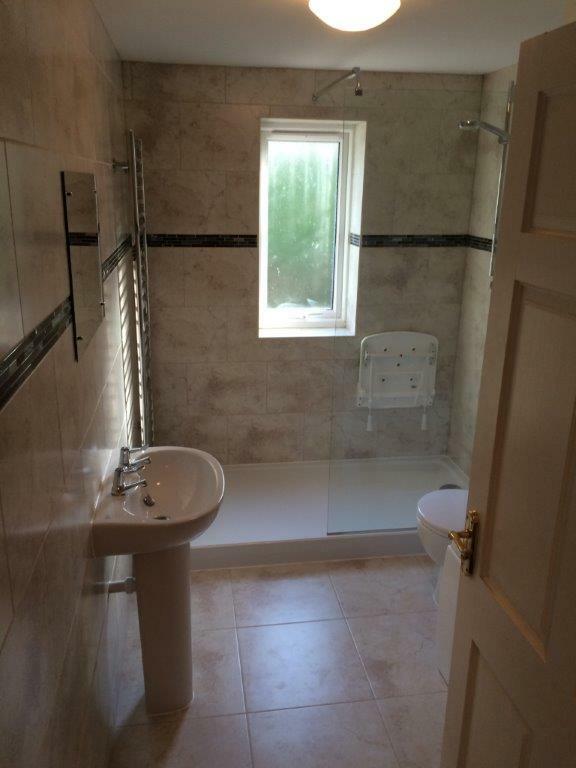 A shorter bath was fitted where the shower cubicle once stood which enabled the WC and washbasin to be relocated thus creating space at the end of the room for a large low-level shower tray. 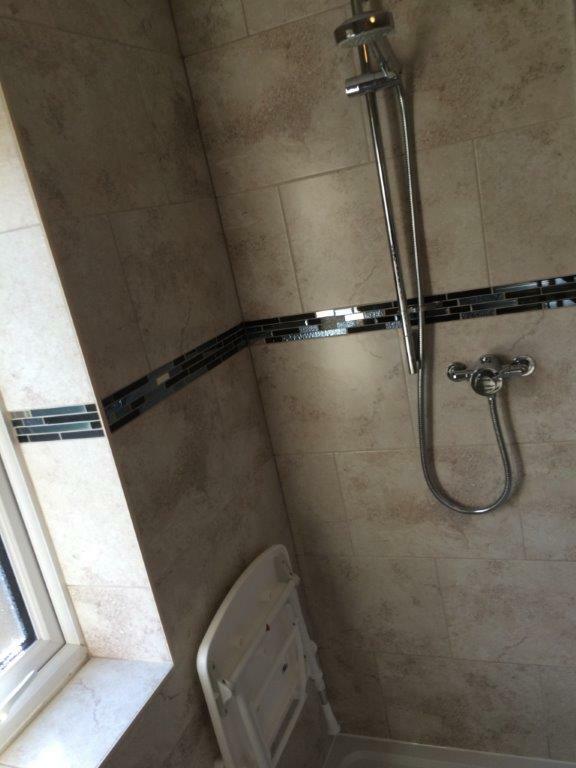 An Aqualisa thermostatic shower was fitted in the shower area along with a folding seat. 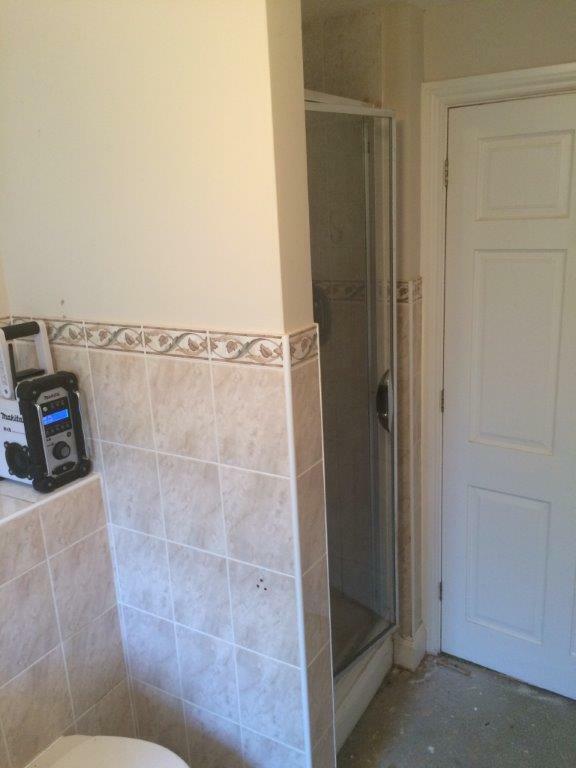 The shower area was protected by a single glass panel thus eliminating the need for a full enclosure and possible restrictions regarding access. 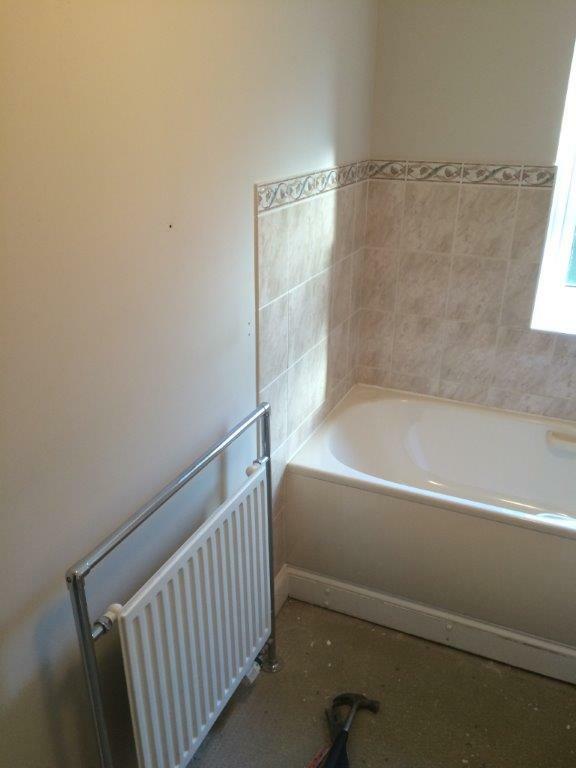 A highly polished stainless steel towel rail, which will not be affected by splashing, was fitted at the end of the shower area. 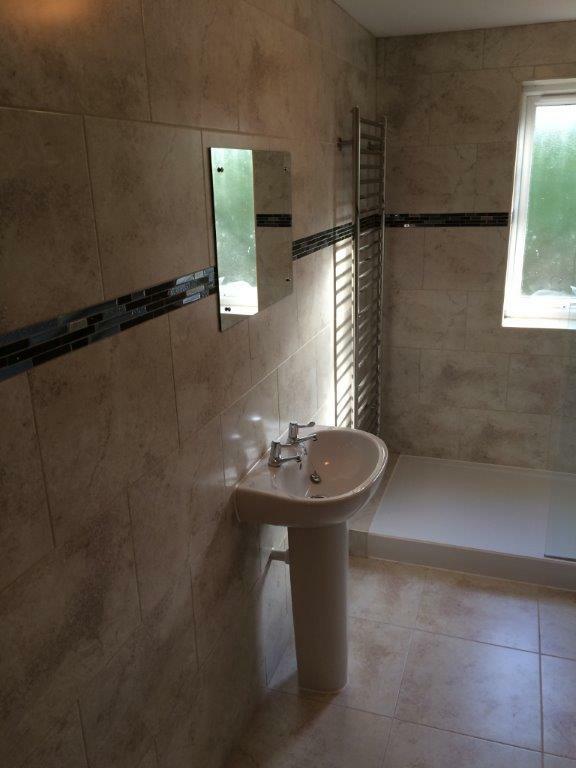 The room now benefits from full height wall tiling and a tiled floor.